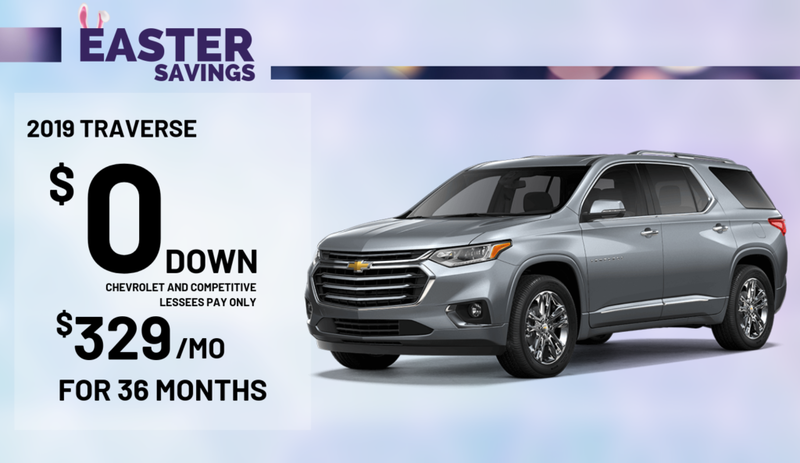 The Best Lease Offers In West Springfield, Northampton, Springfield, Chicopee, Agawam, Westfield, Pittsfield, Hampden, and Northern Connecticut!! 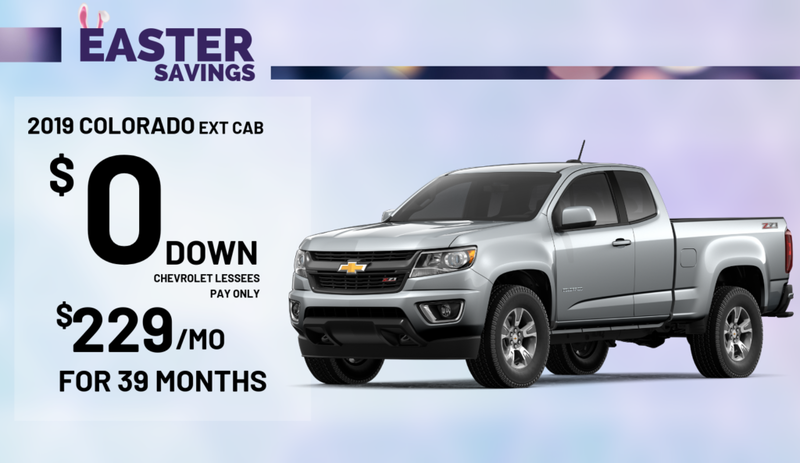 If you like the Nissan Frontier, GMC Canyon, Honda Ridgeline, or the Toyota Tacoma then you will love our Chevy Colorado! 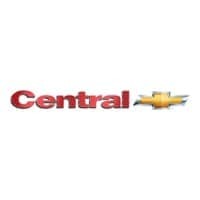 Central Chevrolet makes every effort to present information that is accurate. However, Central Chevrolet is not responsible for any errors or omissions. Picture may not represent actual vehicle. Dealer installed options are additional. Price includes all rebates to dealer. MSRP $25,645. Leases figured with $0 down payment and 10,000 miles per year. Tax, title, registration, doc, and acquisition fee extra. Not all will qualify. Must be Chevrolet lessees. If you like the Lincoln Navigator, Expedition, GMC Acadia, Nissan Armada, or Range Rover then you will love our Chevy Traverse! Central Chevrolet makes every effort to present information that is accurate. However, Central Chevrolet is not responsible for any errors or omissions. Picture may not represent actual vehicle. Dealer installed options are additional. 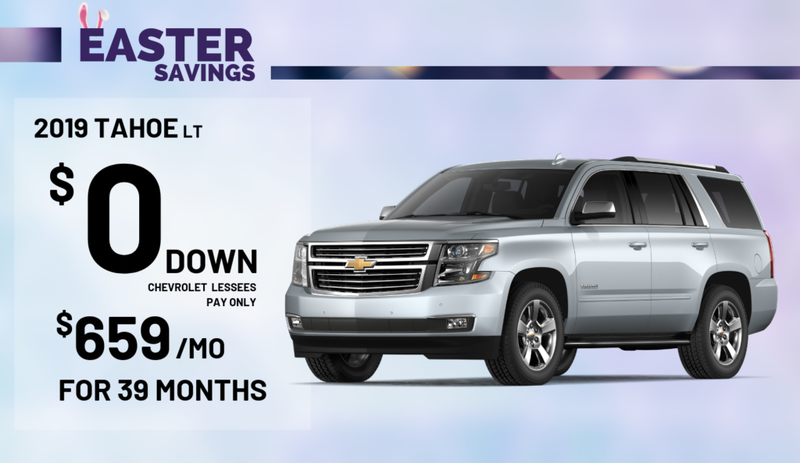 Price includes all rebates to dealer. MSRP $34,095. Leases figured with $0 down payment and 10,000 miles per year. Tax, title, registration, doc, and acquisition fee extra. Not all will qualify. Must be Chevrolet or competitive lessee. If you like the Lincoln Navigator, Expedition, GMC Yukon, Nissan Armada, or Range Rover then you will love our Chevy Tahoe! Central Chevrolet makes every effort to present information that is accurate. However, Central Chevrolet is not responsible for any errors or omissions. Picture may not represent actual vehicle. Dealer installed options are additional. Price includes All rebates to dealer. MSRP $62,465. Leases figured with $0 down payment and 10,000 miles per year. Tax, title, registration, doc, and acquisition fee extra. Not all will qualify. Must be Chevrolet lease loyal. 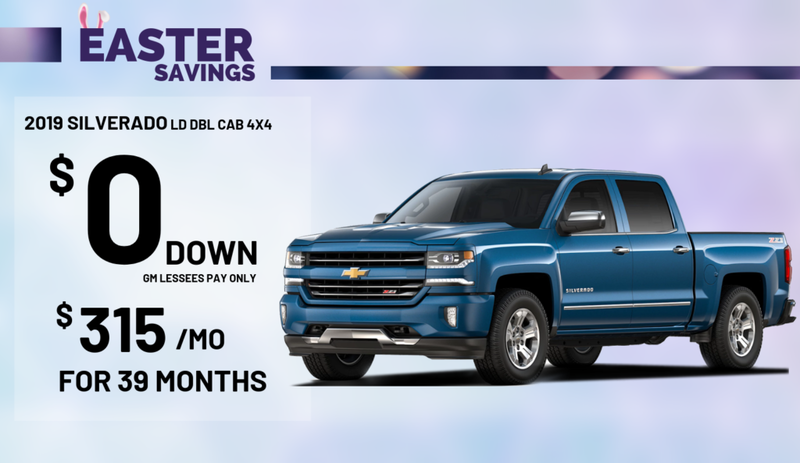 Lease Offers for Chevrolet Silverado 1500 and more because we understand that you have a budget. 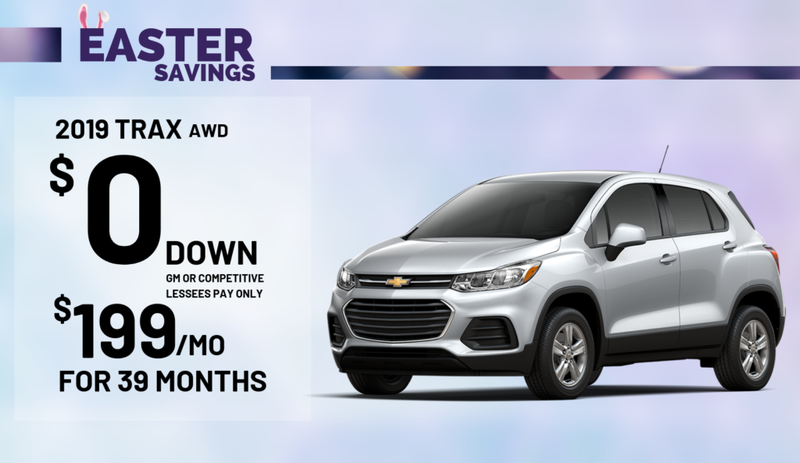 Central Chevy also has special lease deals on most Chevrolet Cruze, Chevrolet Malibu, Chevrolet Trax and Chevrolet Colorado. 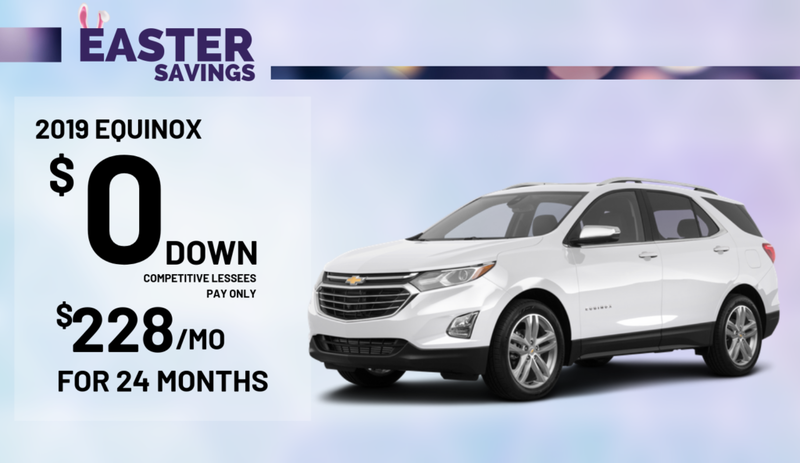 Our team also has Chevrolet lease deals on the Chevrolet Equinox, Chevrolet Traverse, and even the Chevrolet Camaro! 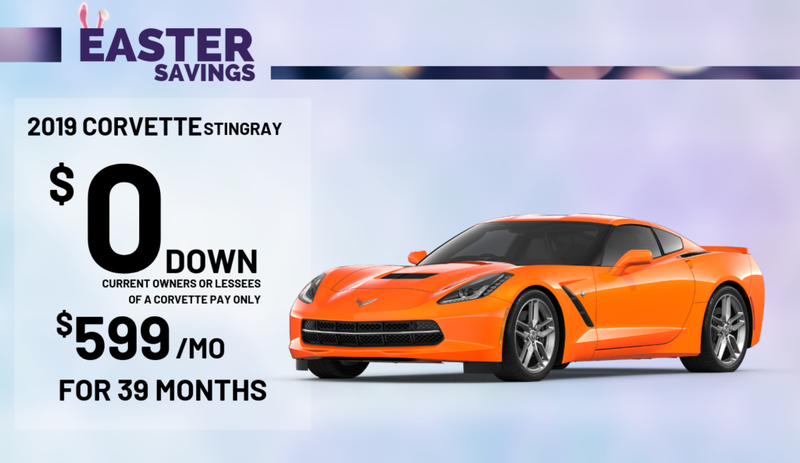 Come in today to learn about how you can lease a vehicle. You will be completely informed on how it works and what it will ultimately cost you. Here at Central Chevrolet we work hard for you! In general leasing can save you a lot of money! 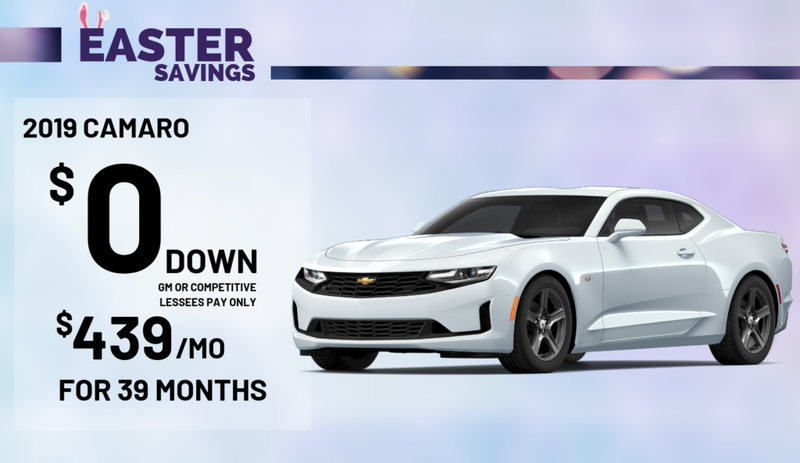 Our leasing specials help thousands save money not only right this moment, but in the future as well! The Best part of leasing is that you are paying the least amount of money for ownership. These New Chevrolet’s come with one FREE maintenance for 2 years or 24,000 miles, or whatever comes first. Where Every Chevy Always Sells For Less!